British Customs releases a comprehensive customization guide for the Triumph Street Twin, advising enthusiasts how to build their own custom motorcycle one bolt-on upgrade at a time. 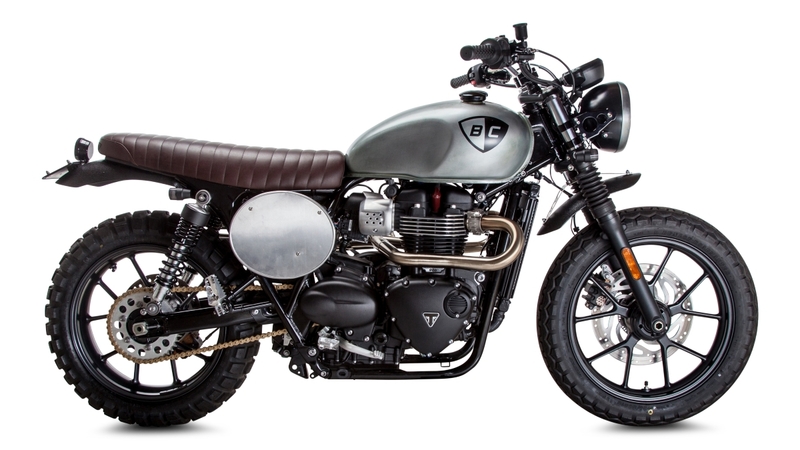 A Triumph Street Twin customized with bolt-on parts from British Customs. British Customs recently released a complete line of quality parts for the Triumph Street Twin that bolt on to factory specifications. Building a custom motorcycle is often viewed as a pipe dream by the common enthusiast, but that’s about to change. The new and wildly successful Triumph Street Twin is a platform rife with customization opportunity, and Triumph veterans British Customs have recently published a customization guide to the Triumph Street Twin to accompany the recent launch of their complete line of parts for the Triumph Street Twin. British Customs breaks motorcycle customization down into four main steps that make it accessible to new riders and enthusiasts alike. The first order of business, according to modern retro custom motorcycle experts British Customs, is to upgrade the seat. Upgrading the seat not only improves the rider’s connection with the bike when upgrading to a seat like those made by British Customs which feature medical-grade gel inserts, but transforms the motorcycle’s appearance. Most vintage motorcycle styles are most commonly identified by the style seat they feature. The quickest and easiest way to begin converting a stock motorcycle into a particular style is to get a seat made for that style. 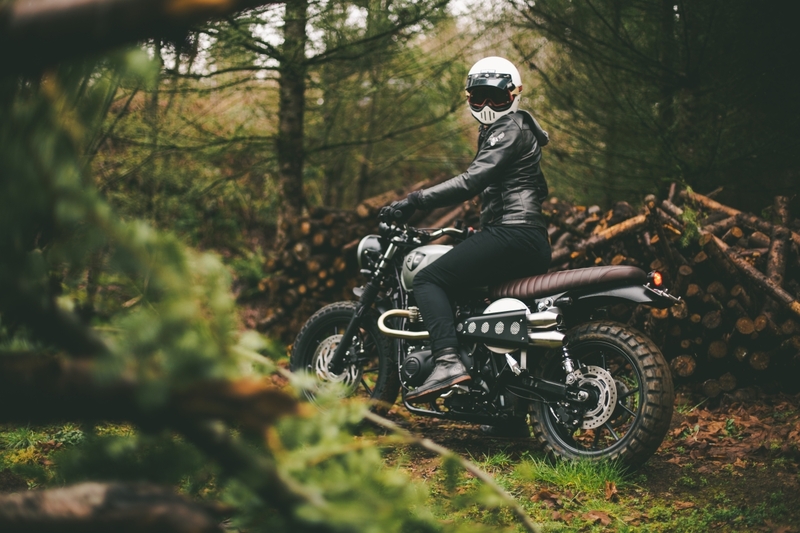 For adventure seekers, the scrambler is the most popular retro motorcycle style to build, and for good reason. Scramblers are fun to ride, can be taken off-roading, and are dripping with rugged character. For Triumph Street Twin owners who want to convert their Street Twin into a scrambler, British Customs is offering a Slammer Seat. The Slammer Seat features medical-grade gel inserts to keep the rider comfortable for longer periods of time, and is made of a quality, heavy duty vinyl that will stand up to the necessary wear and tear of everyday use. The second step for building a custom motorcycle is to upgrade the handlebars. Handlebars, like seats, serve two major functions for custom builders: they dramatically improve your ergonomics, and radically change the bike’s style. Many vintage motorcycle styles are also identified by their characteristic handlebars, like tracker bars or cafe racer bars. 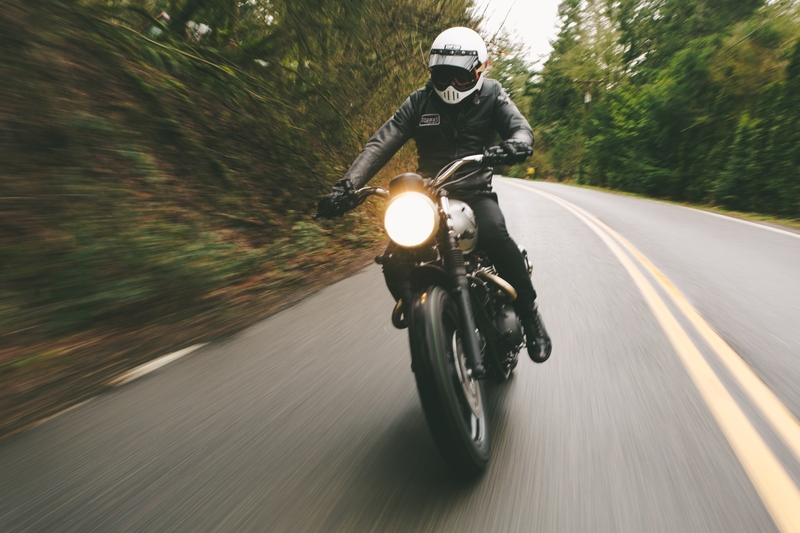 To fully upgrade handlebars and controls, it’s recommended that riders upgrade their four bolt risers, gauge mounts, and relocate their ignition switch to get the maximum visual effect. The third step completes the basic build. To finish transforming the stock motorcycle into a light custom, British Customs recommends upgrading the exhaust. Upgrading the exhaust will maximize engine performance, and will help finish stylizing a motorcycle. Various vintage motorcycle styles feature exhaust systems that are unique to their respective niches in both appearance and sound. The fourth and final step is for builders who want to go beyond a light custom and want to build something unique to them. After the seat, handlebars, and exhaust have been upgraded, the details and trim parts remain to be personalized. These small upgrades make a huge difference, however, once they have all been installed. For the Triumph Street Twin, British Customs has recently released a complete line of quality parts that bolt on to factory specifications. As detailed in British Customs’ customization guide, these parts can be used to transform a stock Triumph Street Twin into a variety of retro styles in a weekend project. Each part British Customs creates is proudly made in America, and from the highest quality materials. 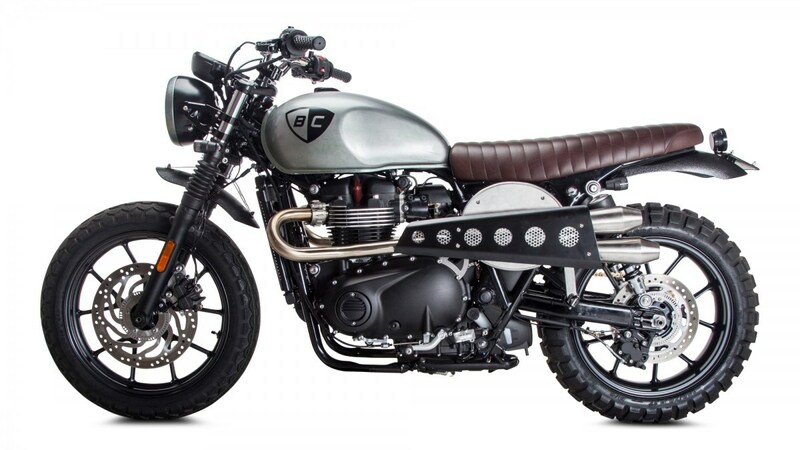 With their debut launch of the line, British Customs has made a number of scrambler styled parts available for the Triumph Street Twin, including the slammer seat, Mule tracker bar, and 2-into-2 high header exhaust with mini reverse cones. To fill out the details, number plates, high mount fenders, and a pan tailight are also available among many others. 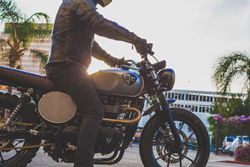 To support riders who want to customize their own motorcycles, British Customs has created a comprehensive Resource Center that contains installation instructions, how to guides, and Triumph 101 sections. The guides on the Resource Center are easy to follow, step-by-step guides with images, and provide authoritative information that will be of use to newcomers and seasoned custom builders alike.